Harvard’s student newspaper, “The Crimson,” recently ran a story about the last games of the legendary Red Sox slugger David Ortiz, connecting Ortiz’s career to that of a Harvard freshman, the writer of the piece, Ethan McCollister. On any given night, you can find U-32 alum Ethan McCollister up late in his dorm until 2 or 3 AM, studying for his classes, getting to know the people around him, and enjoying life at college. From living on a farm in Vermont to attending arguably the best school in the country, Ethan McCollister is enjoying the college experience. Now at Harvard, Ethan has become part of the Harvard Crimson–the nation’s oldest continuously published daily college newspaper. 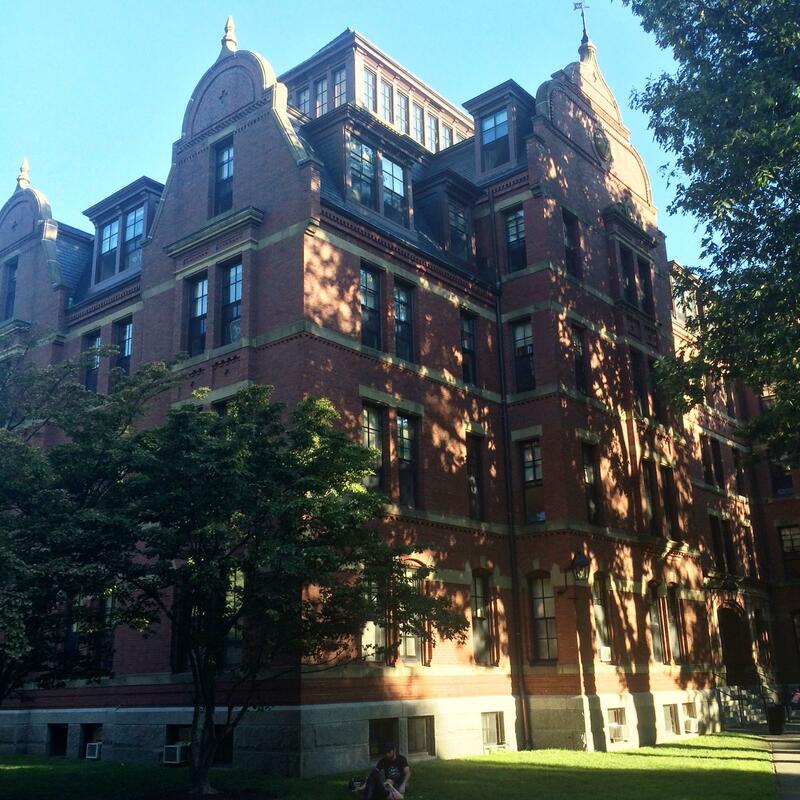 In the Crimson, there are nine boards or categories that students can write about. Ranging from Sports to News/business, there is something for every student on the Crimson staff to write about. McCollister has chosen to do a series of Op-Eds — Opinion Editorials — which are opinionated articles based on Harvard’s audience. 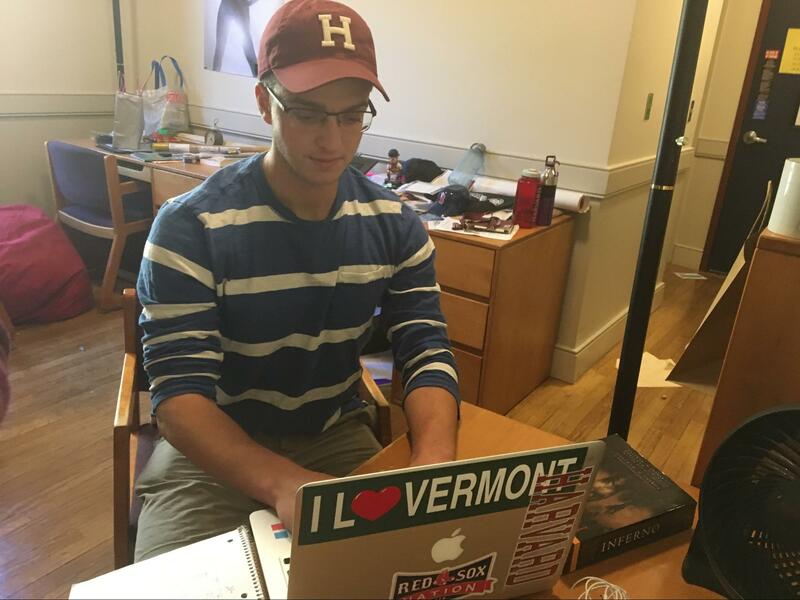 Every Tuesday, he has meetings with the Crimson’s staff, revising and thinking of new topics for his editorial. “It takes up a fair amount of time, more than a couple of my classes even,” said McCollister. Ethan’s typical day at Harvard starts with waking up at 9 A.M, with class generally starting at 10 A.M. Classes at Harvard range from an hour and a half to three hours a day. After class, he sometimes goes to office hours to study and meet with teachers. On Thursdays, he goes to a study group with Michael A. Blake — a state political director for President Obama in 2008. In these meetings, McCollister talks about politics with Blake, who has firsthand experience with political science. An example of a topic that they covered recently was discussing how people of color will become the majority in the United States. Once every week, he has baseball practice for his club team for about an hour. At the end of the week, they play games. These games aren’t competitive but rather for fun and for the love of the game of baseball. Wren, who was the seventeenth-century designer A free picture editor from Google. within eight (7) business days. Paul’s cathedral designed Old Misery’s household|the household of Outdated Misery was designed by Wren, who was simply the seventeenth-century designer Perhaps you’re different. asks for a review or in-depth evaluation may also need a background furnished in its introduction. Nevertheless, you’ll need-to present a significant controversy init. which you possess the ambition and travel to do whatever it will take to attain your targets. thinking skills, when producing comparative documents and writing skills.